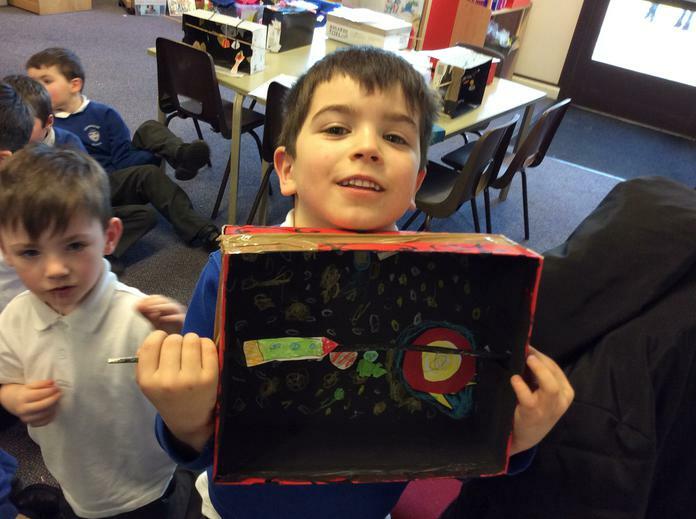 10...9...8...7...6...5...4...3...2...1...let's blast off into outer space! 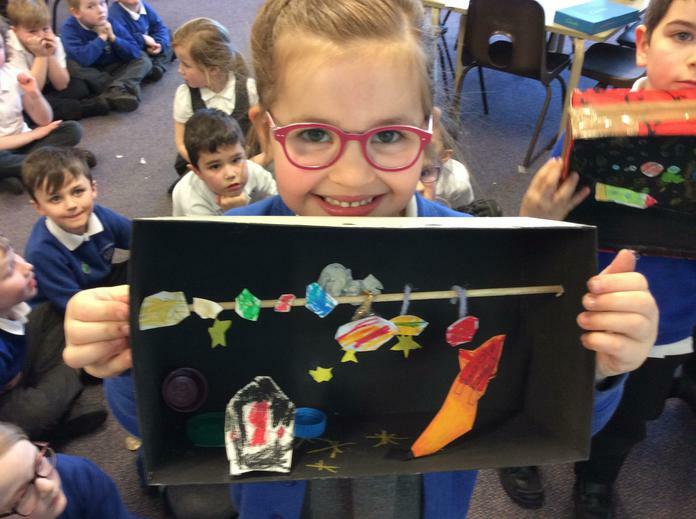 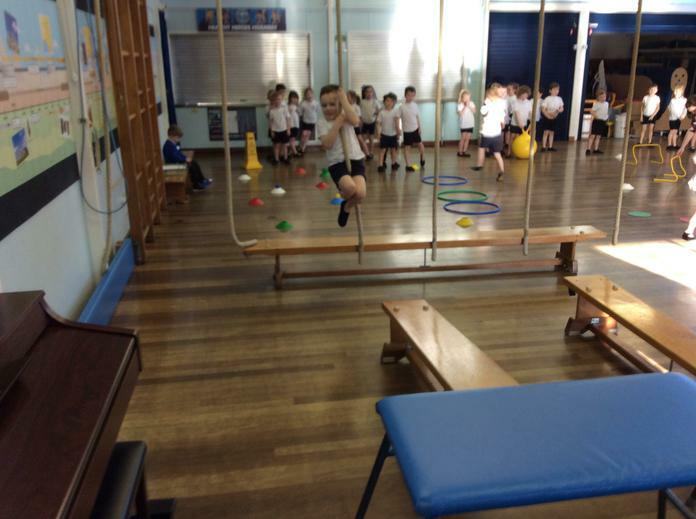 Having already learnt the names of the planets and their order from the sun in our Solar System, the children are now preparing to follow in the footsteps of Neil Armstrong and Tim Peake as they take part in Torrisholme School's specially created Astronaut Training Programme. 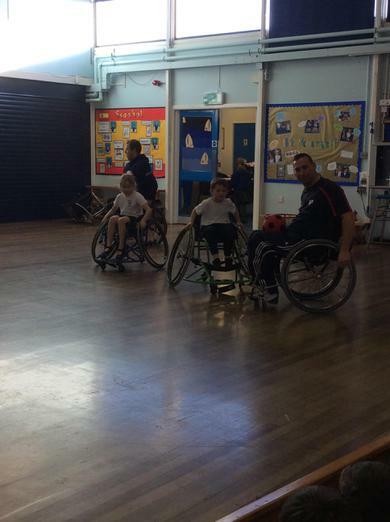 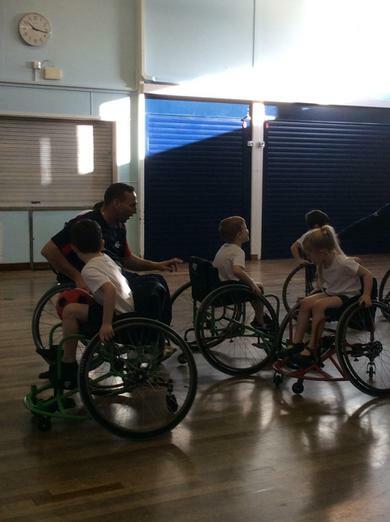 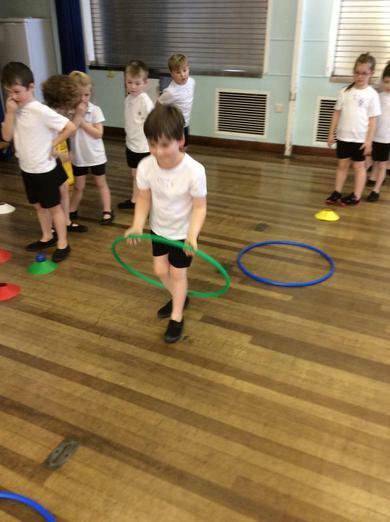 As part of their training the children will be required to take part in a series of tricky individual and team challenges. 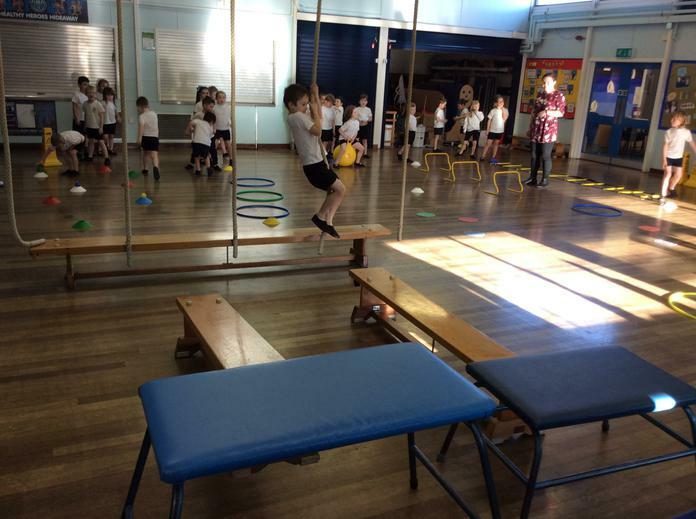 Details of each challenge will be posted here, along with photos of our progress so make sure you visit our class page regularly. 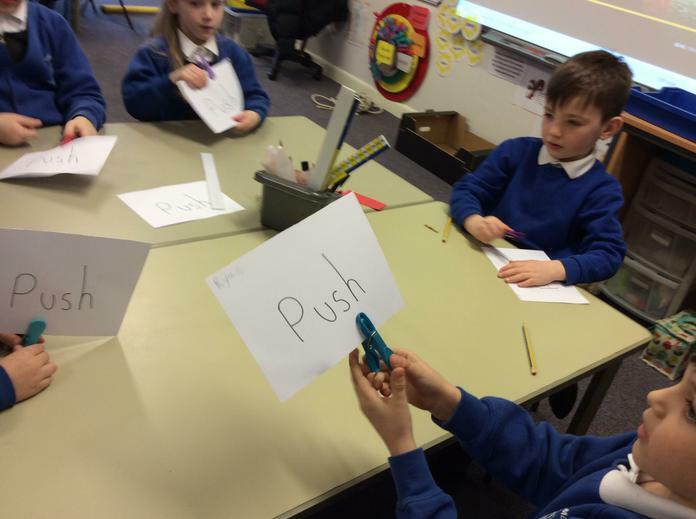 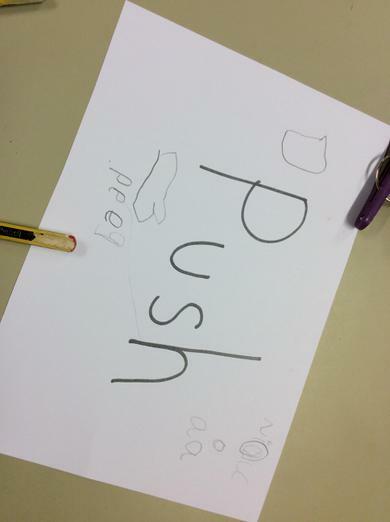 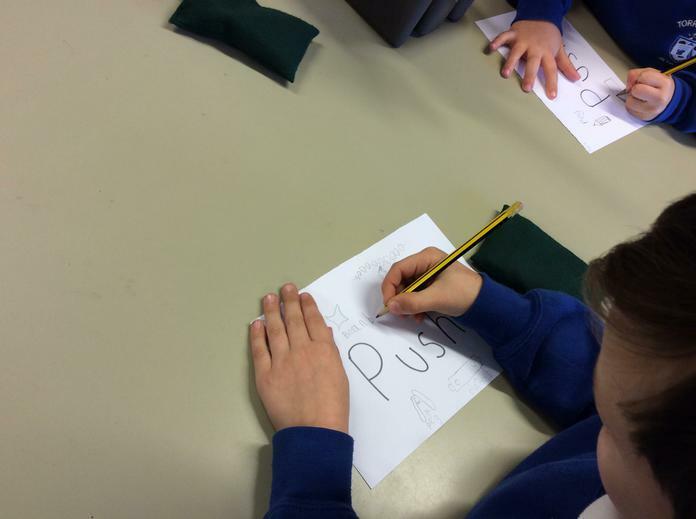 Challenge: Investigate push and pull forces. 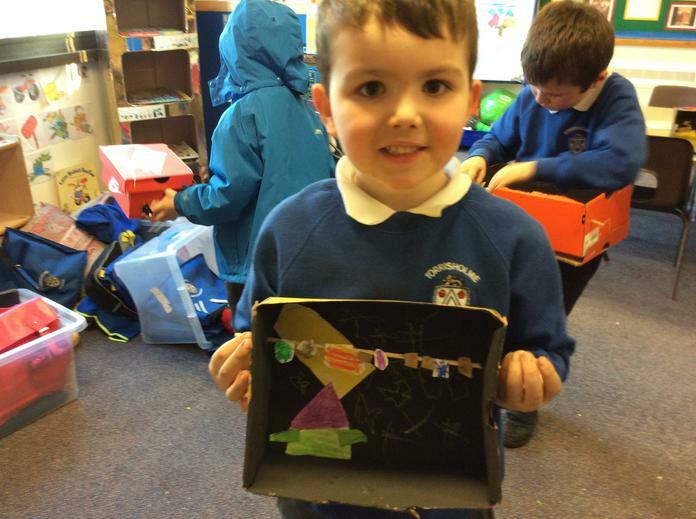 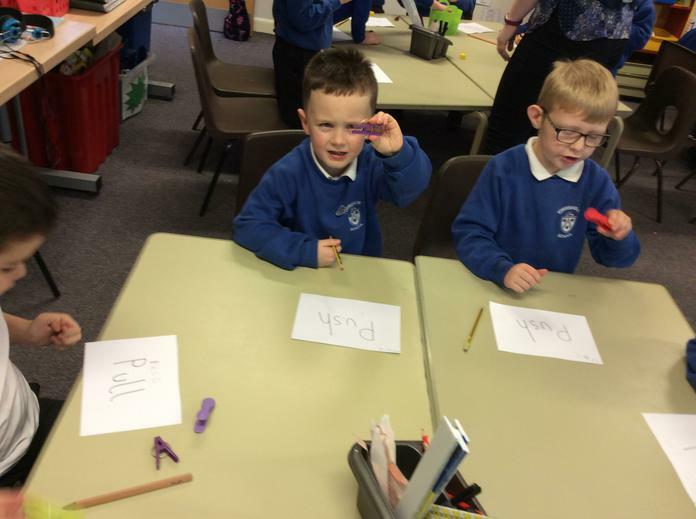 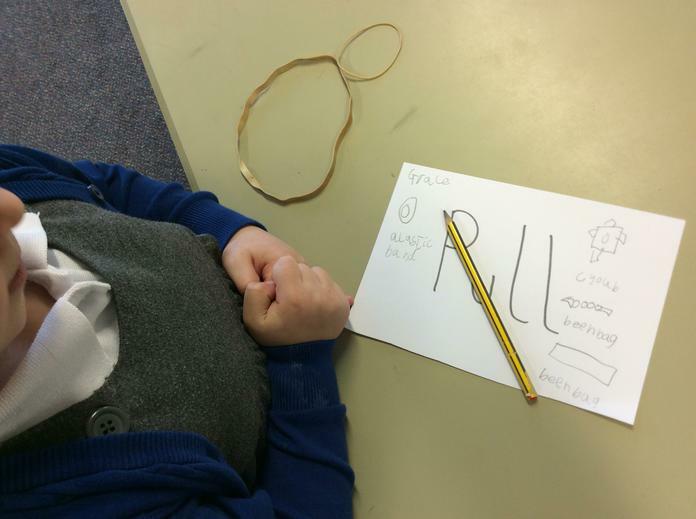 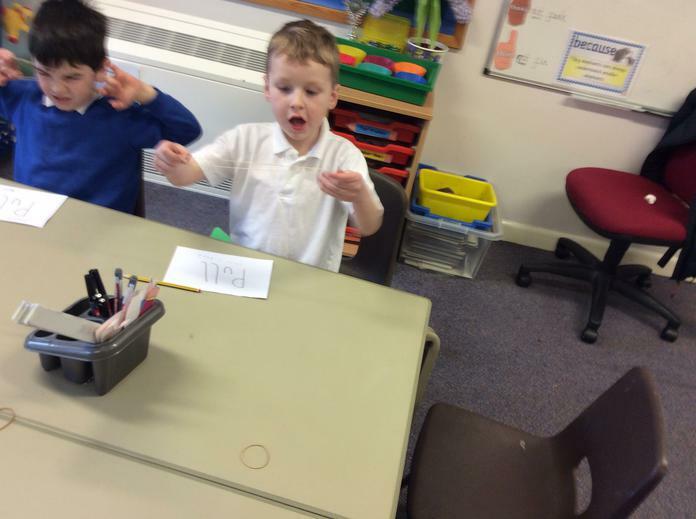 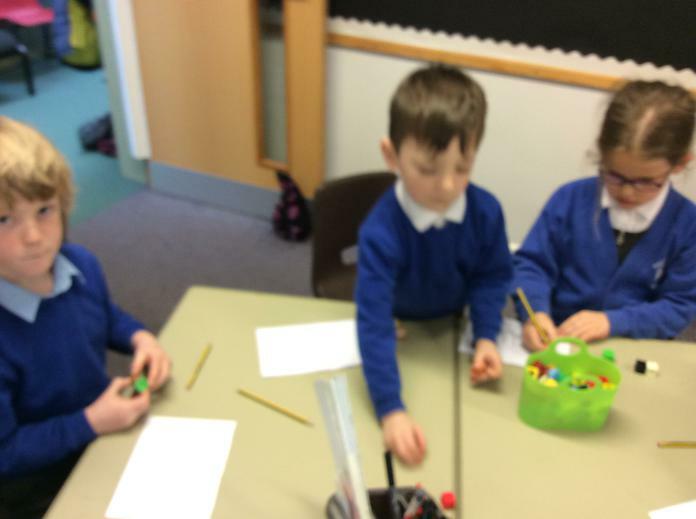 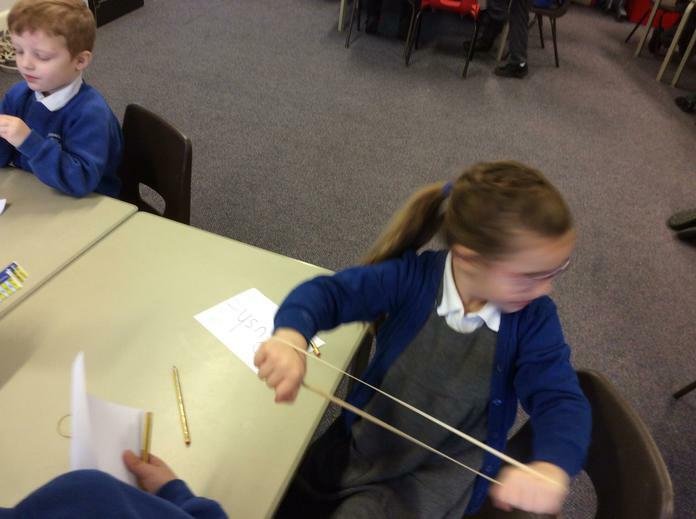 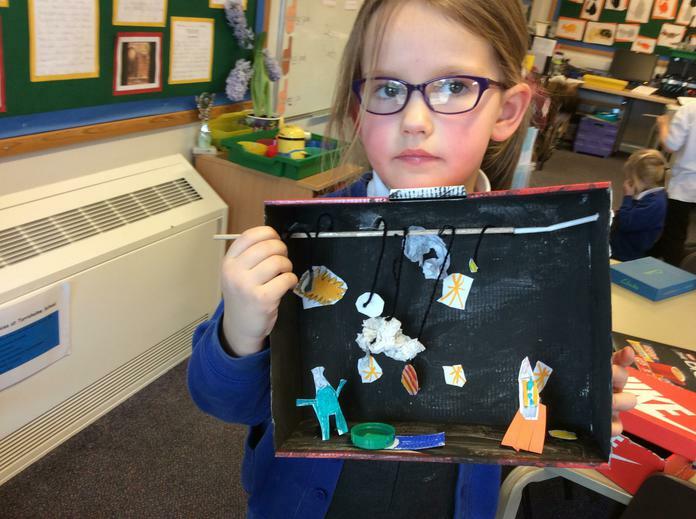 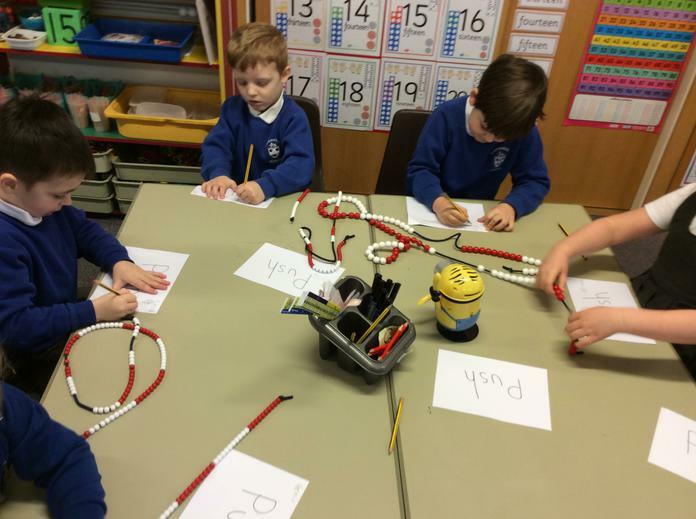 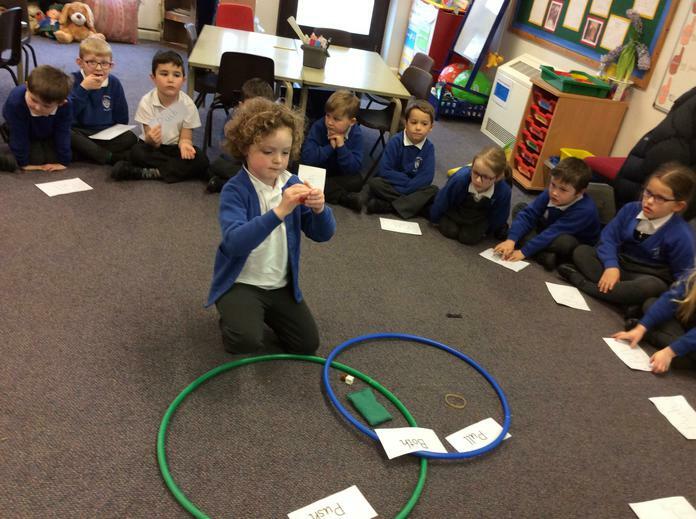 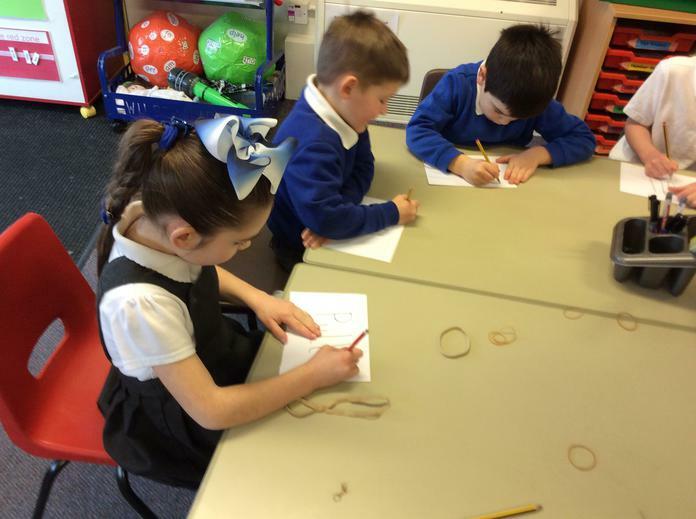 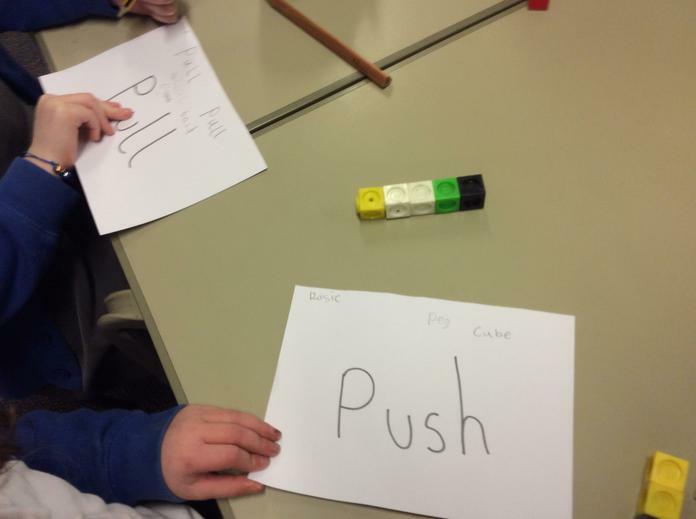 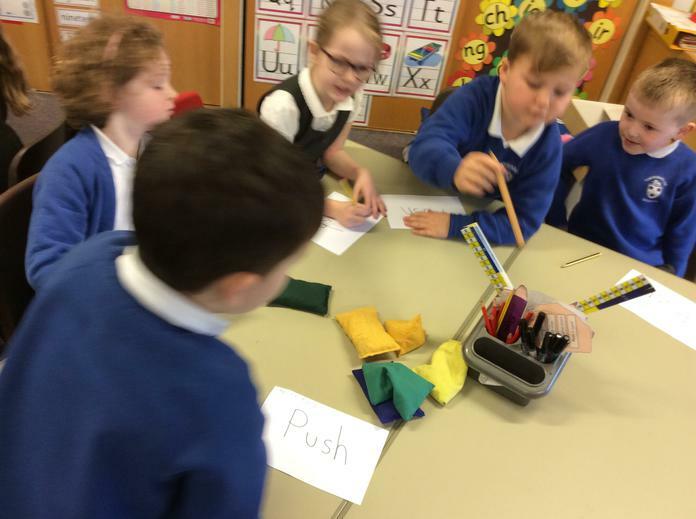 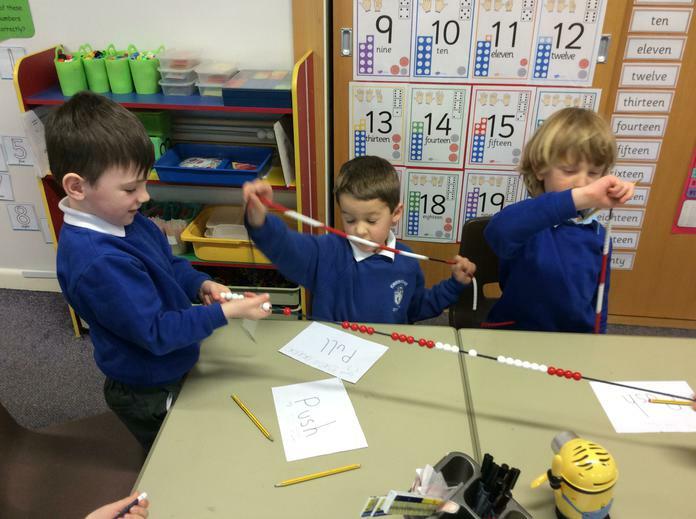 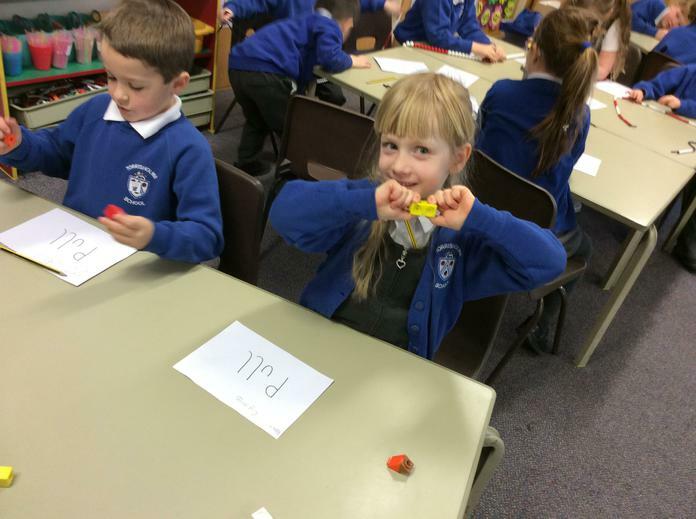 Today the children have been learning to identify push and pull forces by investigating how they use everyday objects such as; pegs, elastic bands, multi-link cubes and bead strings. 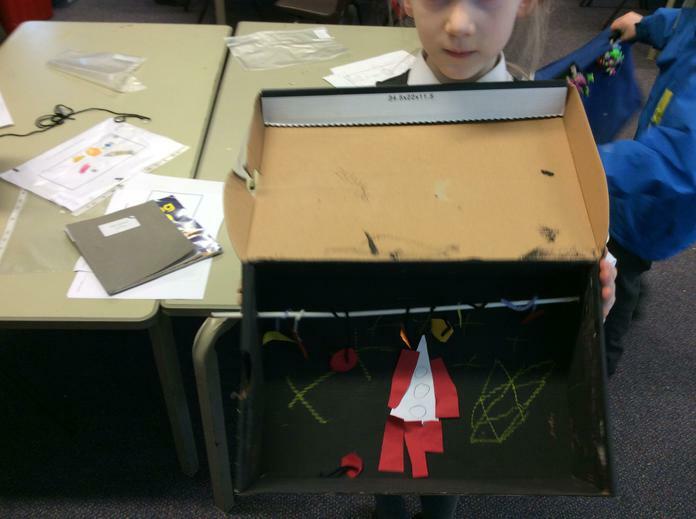 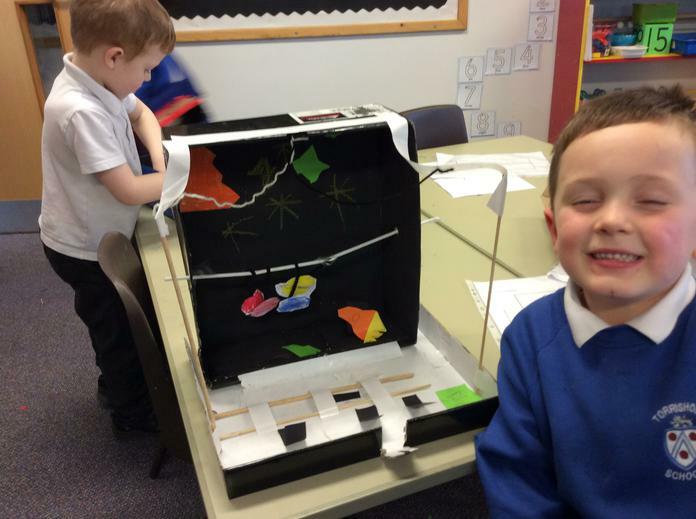 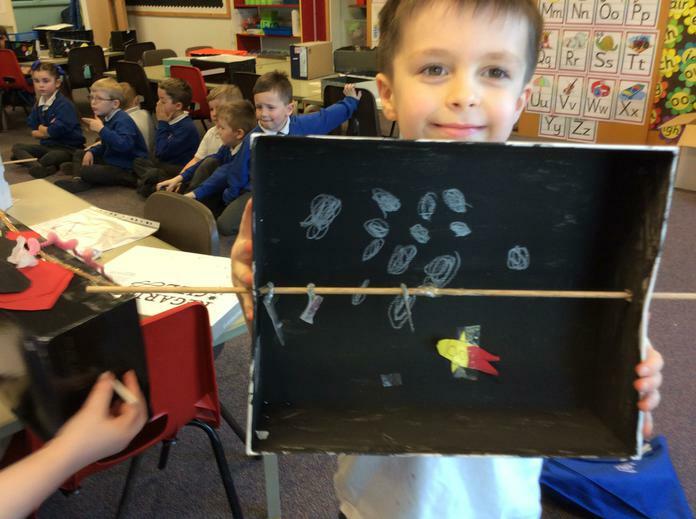 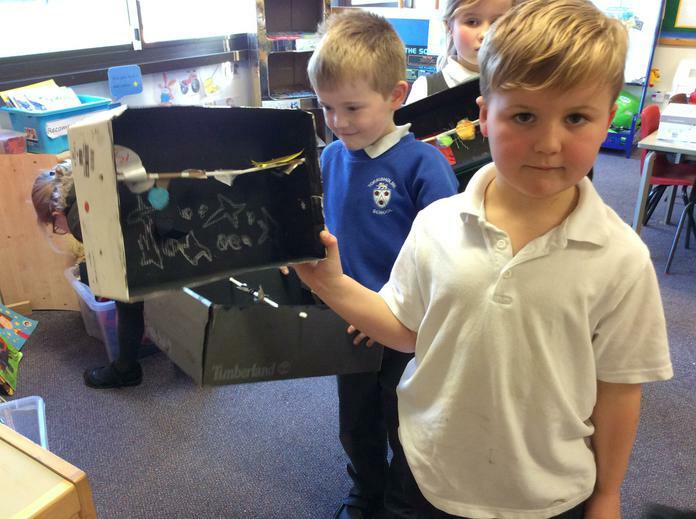 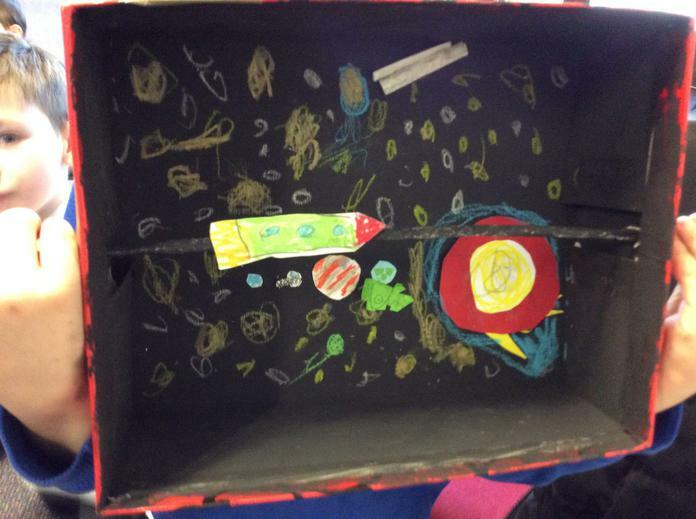 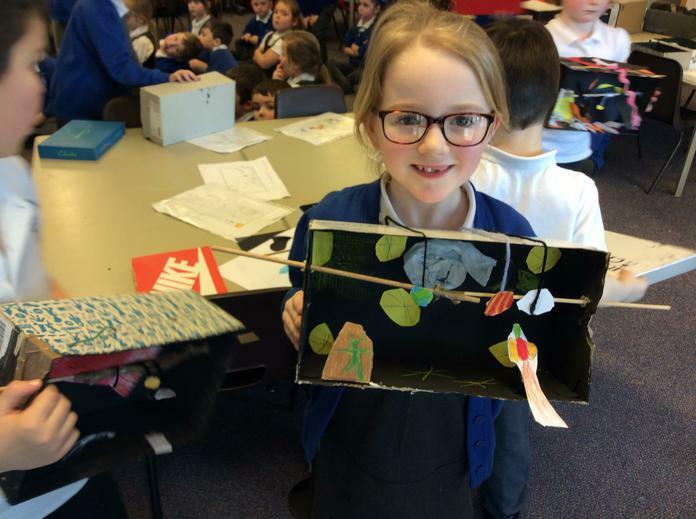 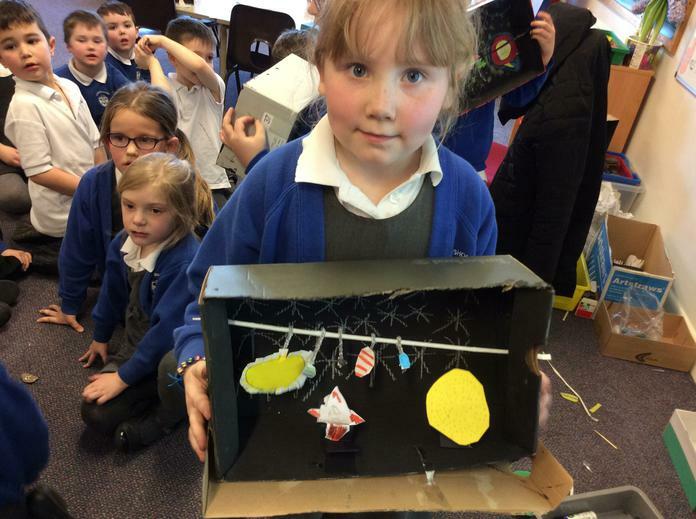 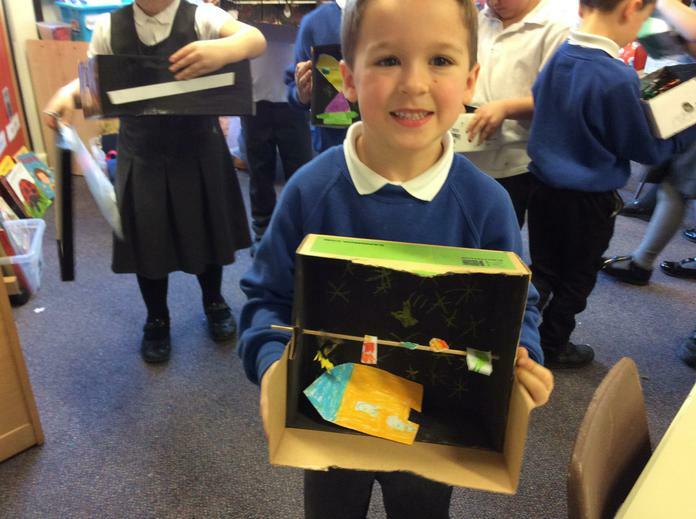 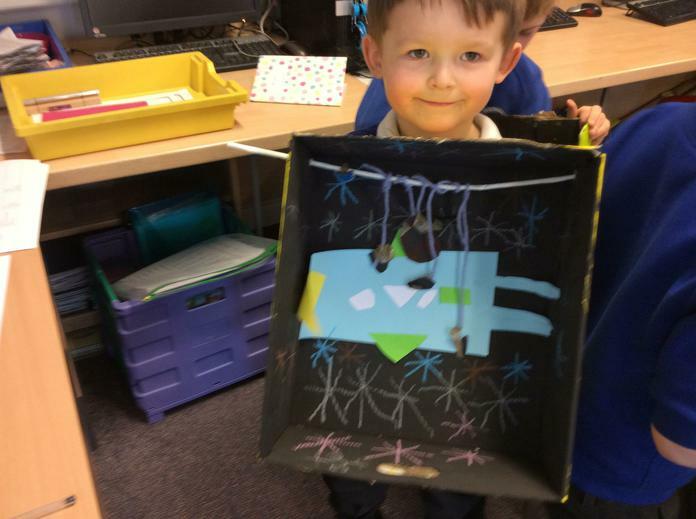 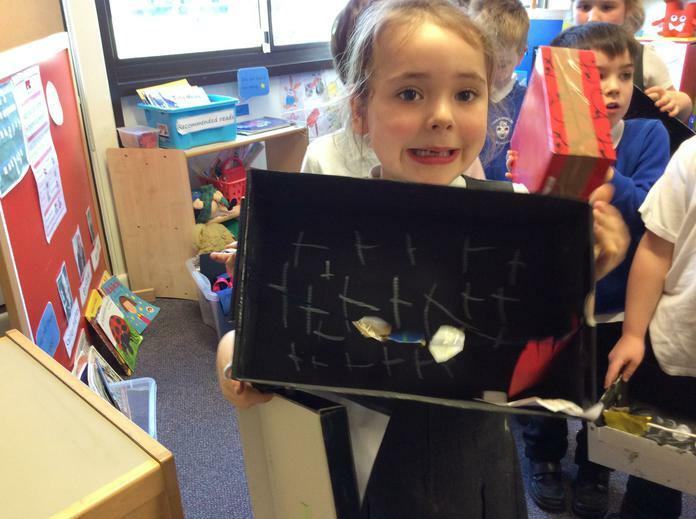 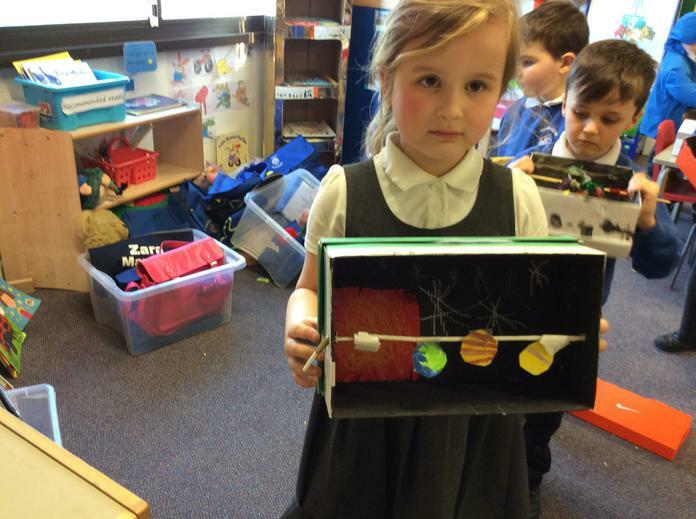 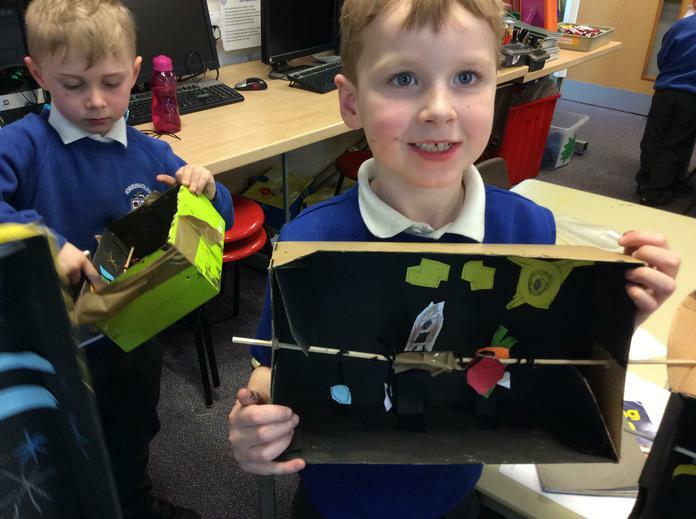 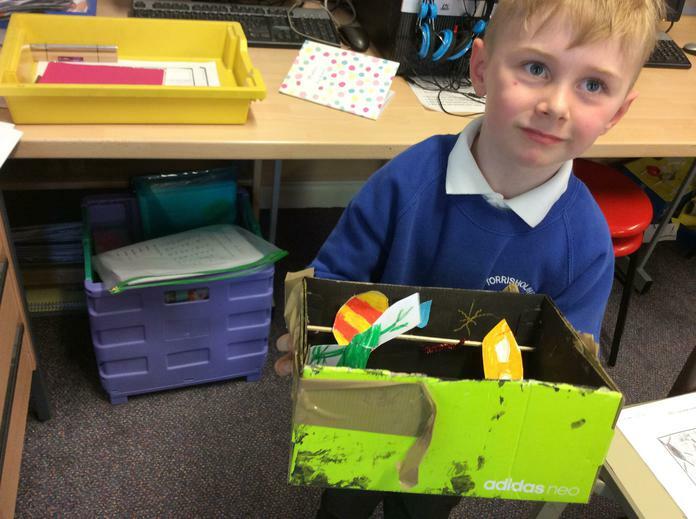 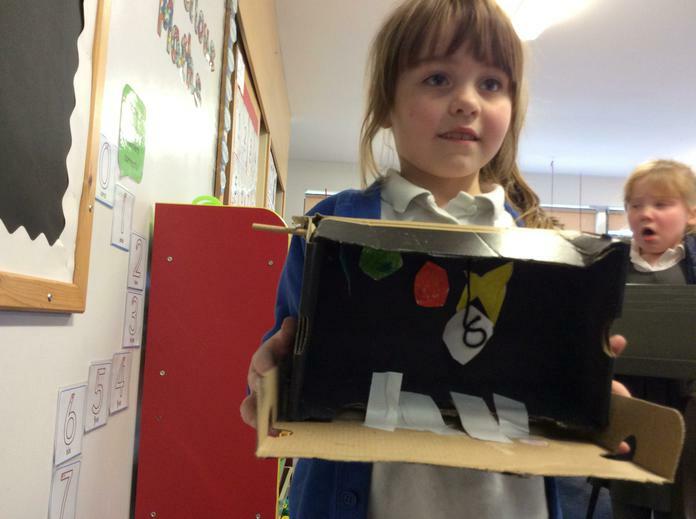 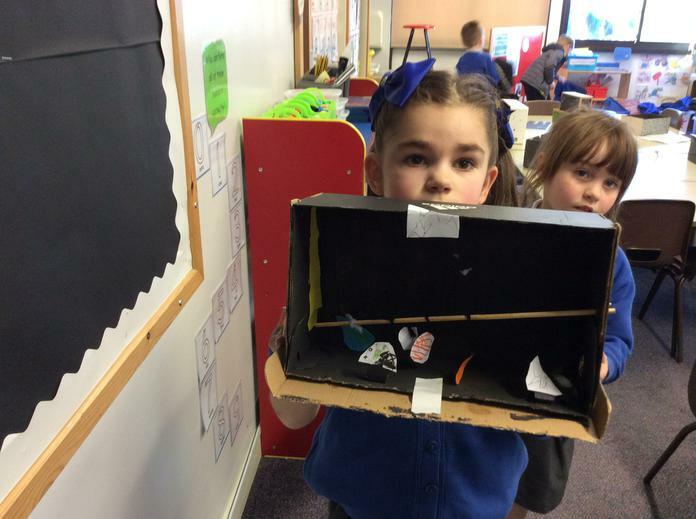 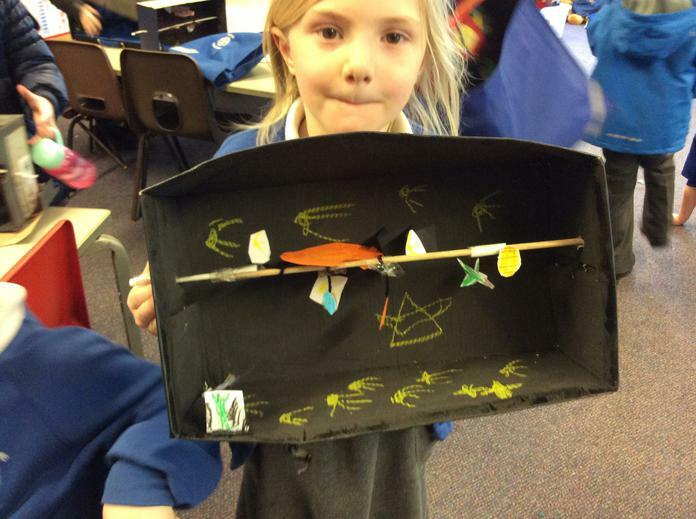 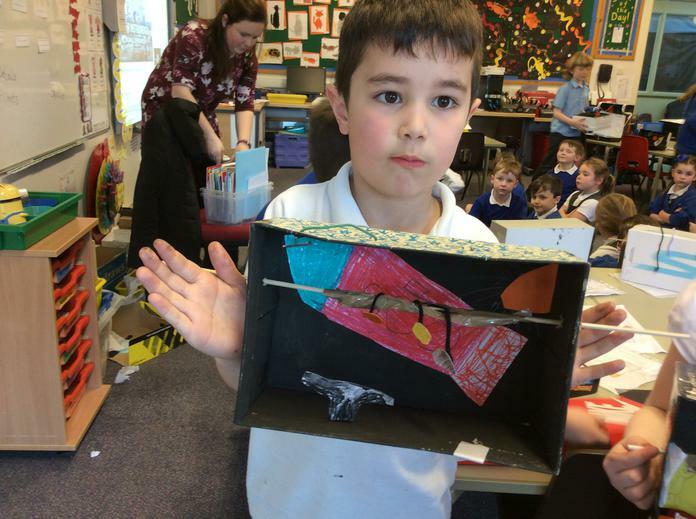 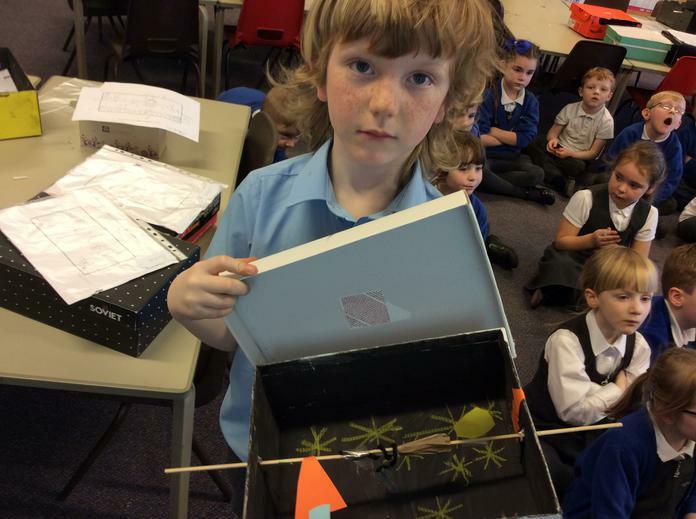 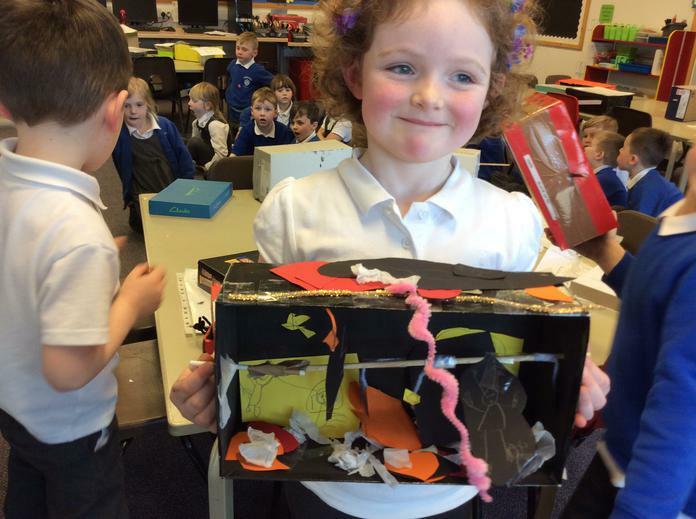 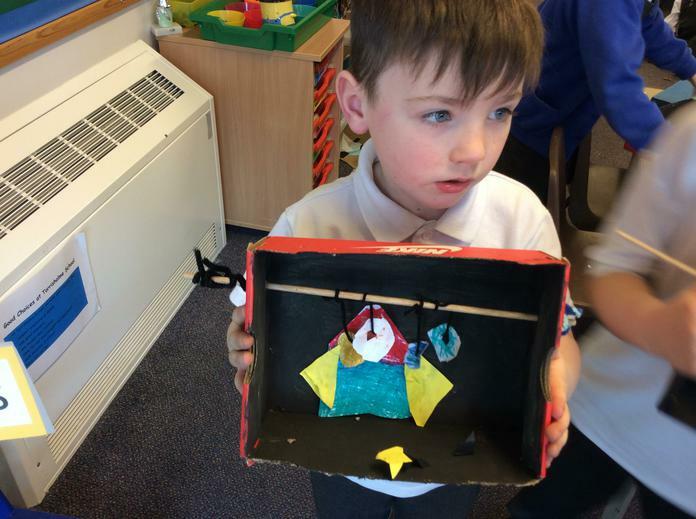 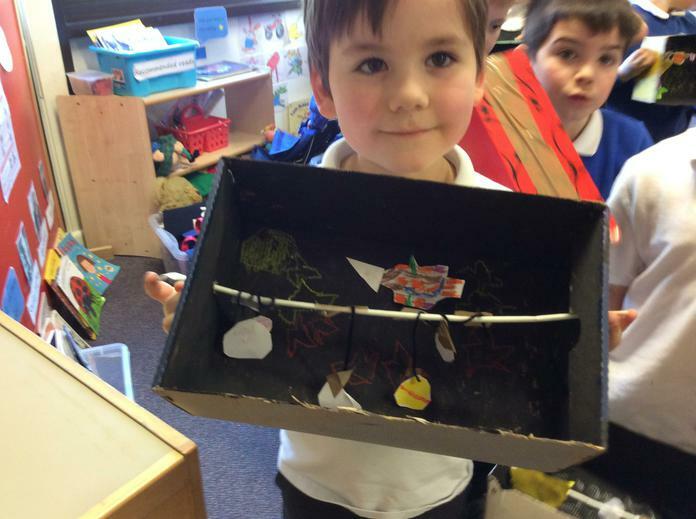 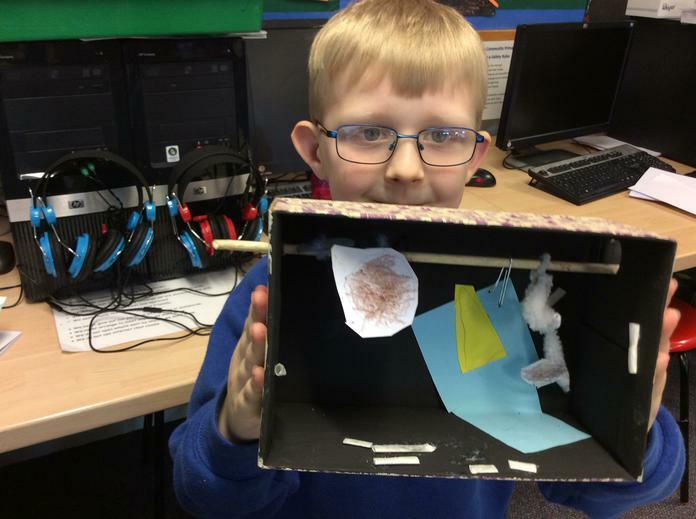 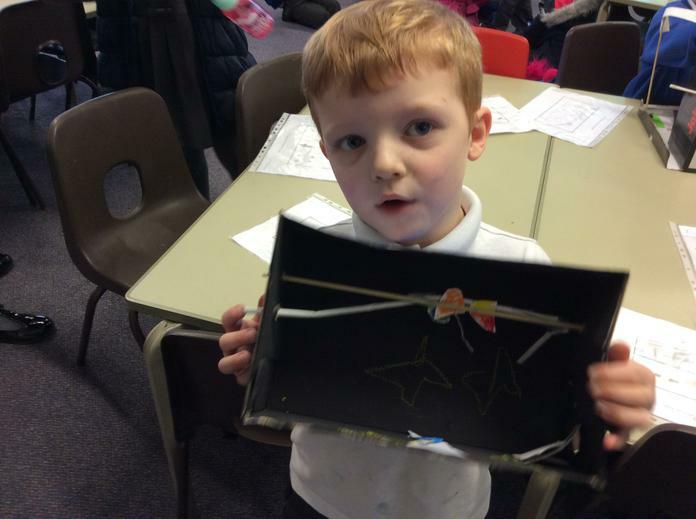 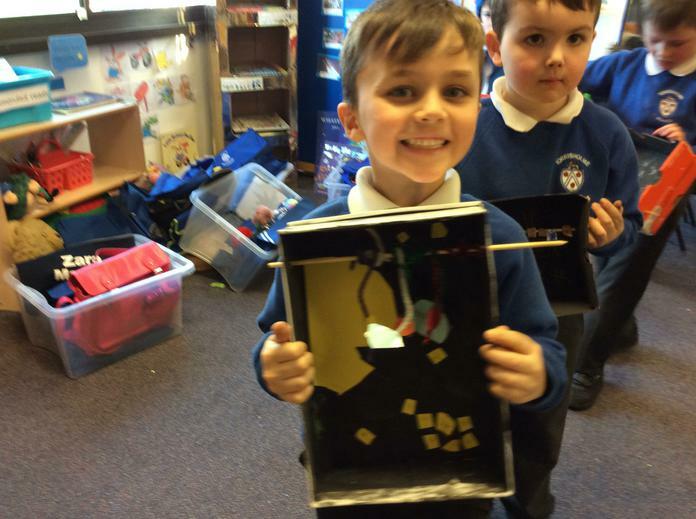 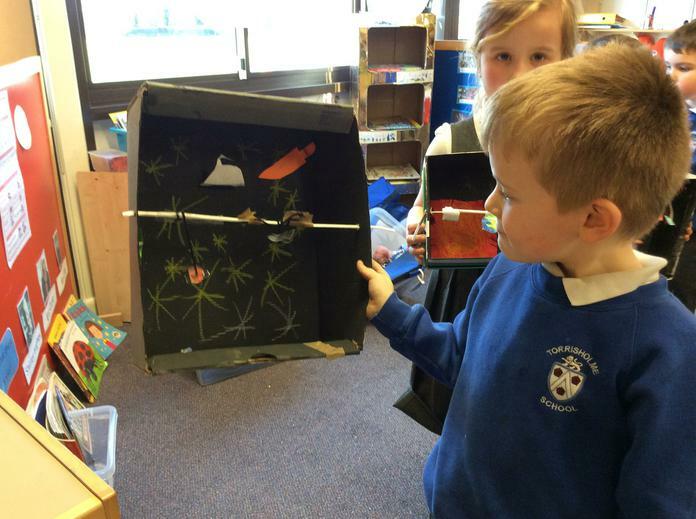 Challenge: Use design and technology skills to create a solar system in a box. 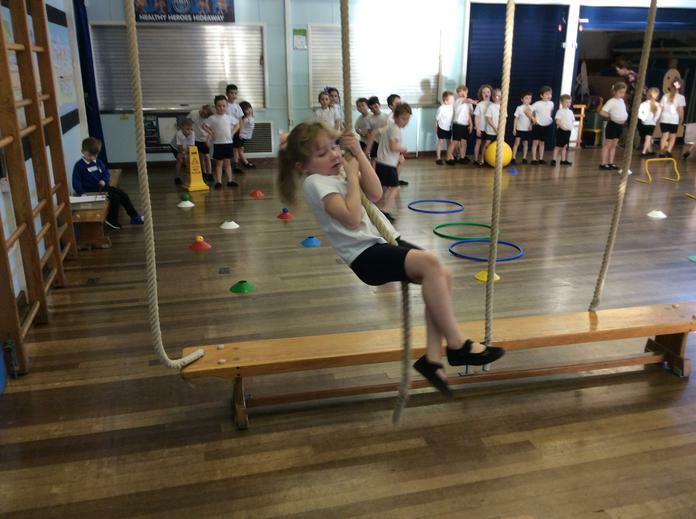 Challenge: Complete a variety of physical challenges in preparation for a mission to the moon. 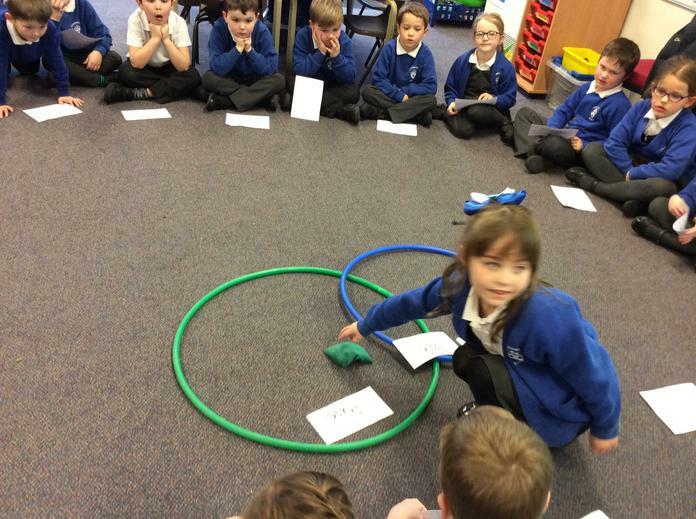 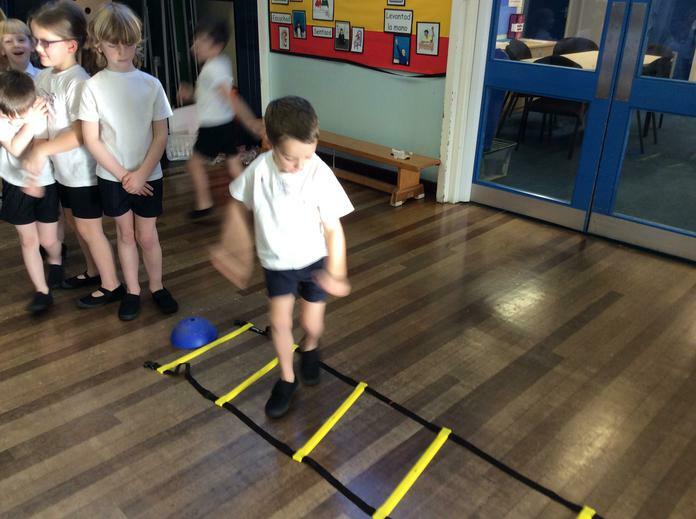 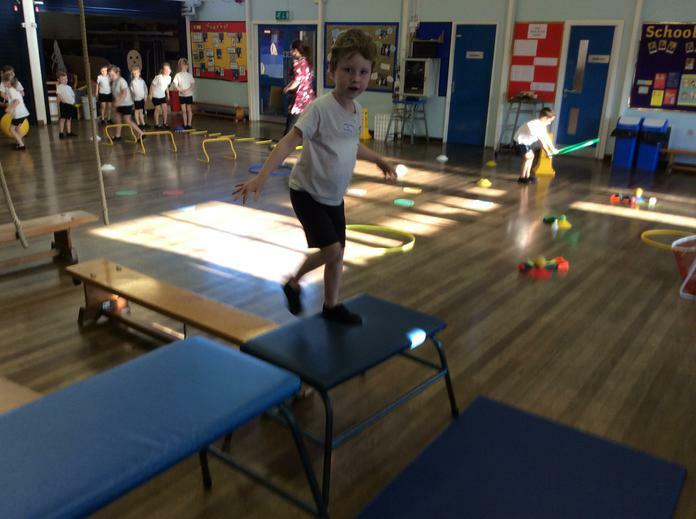 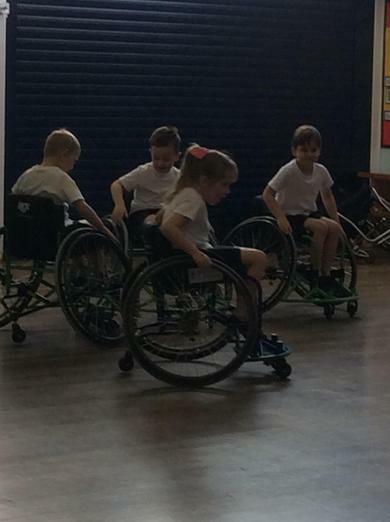 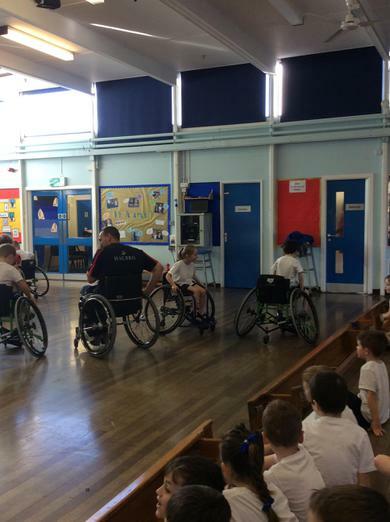 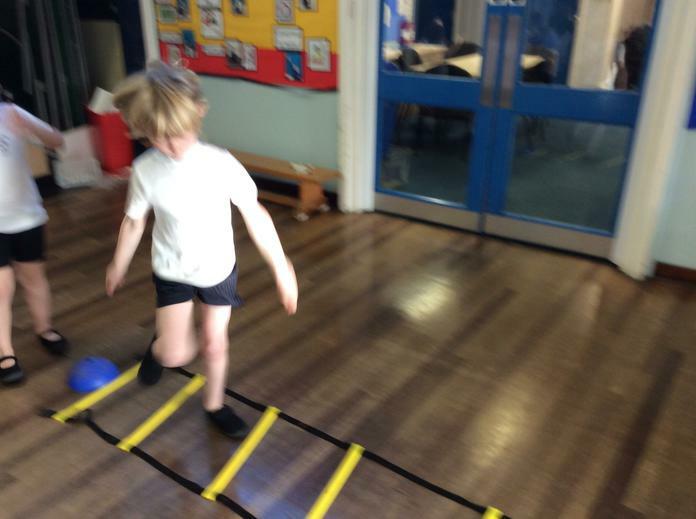 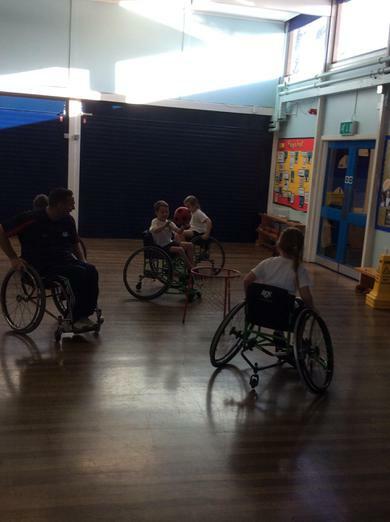 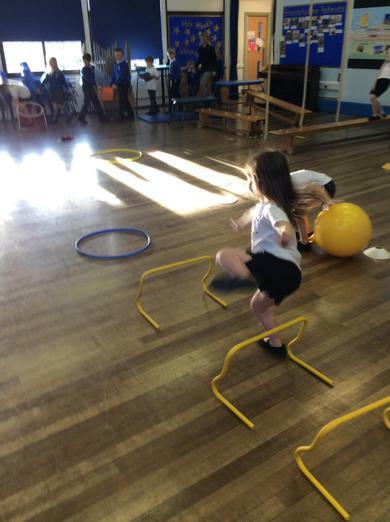 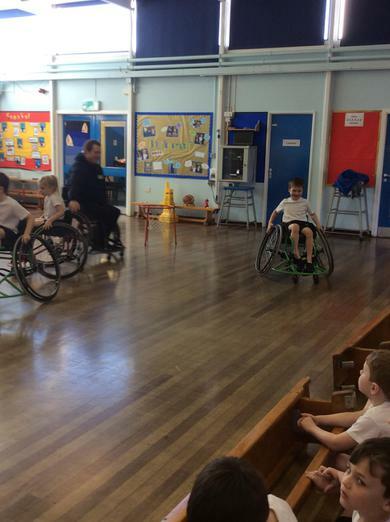 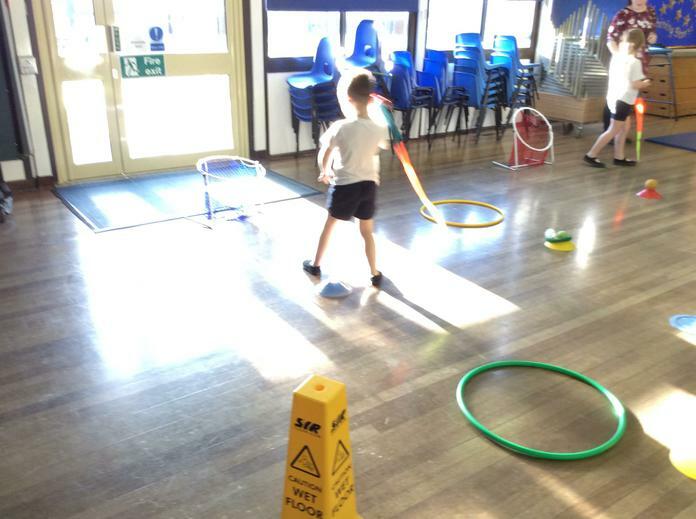 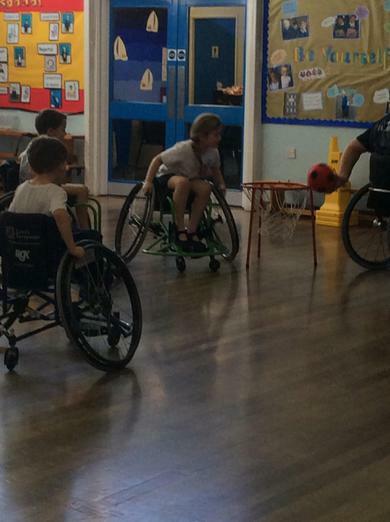 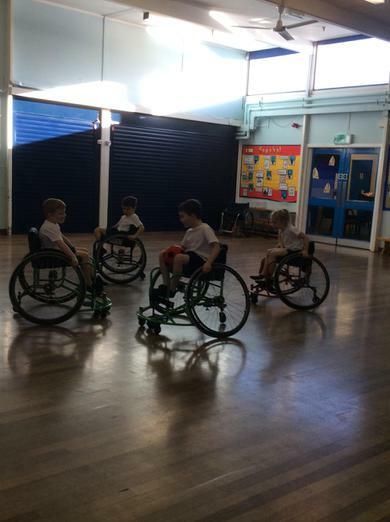 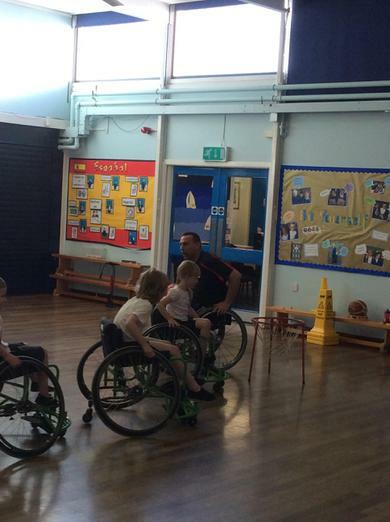 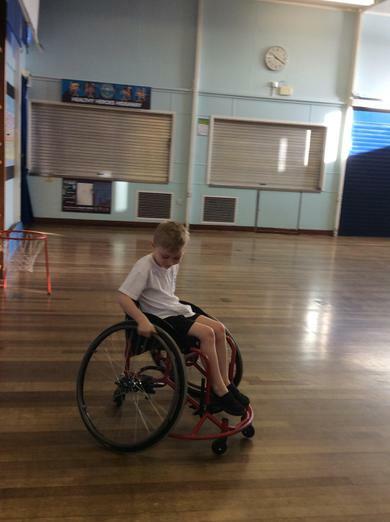 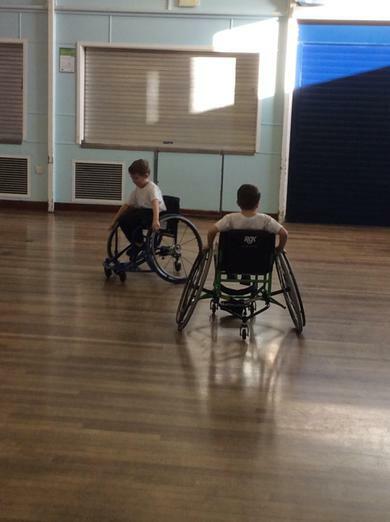 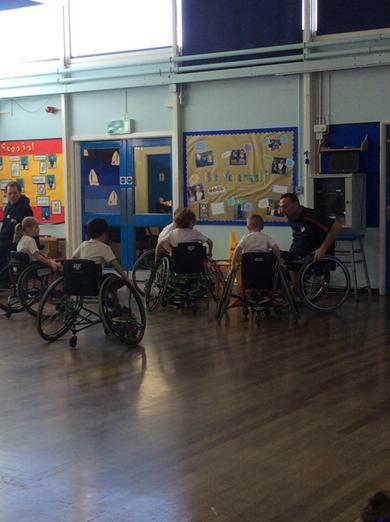 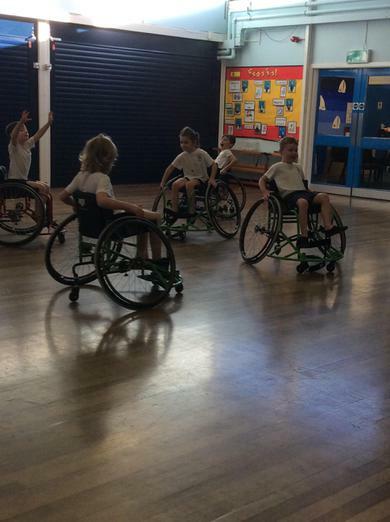 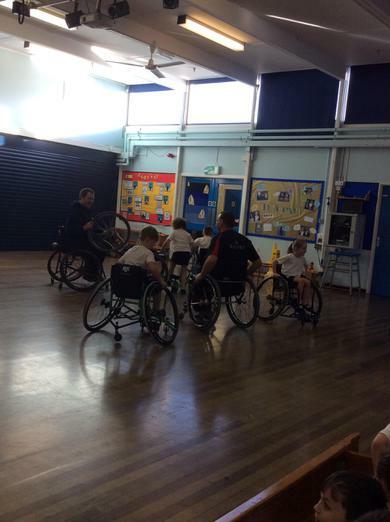 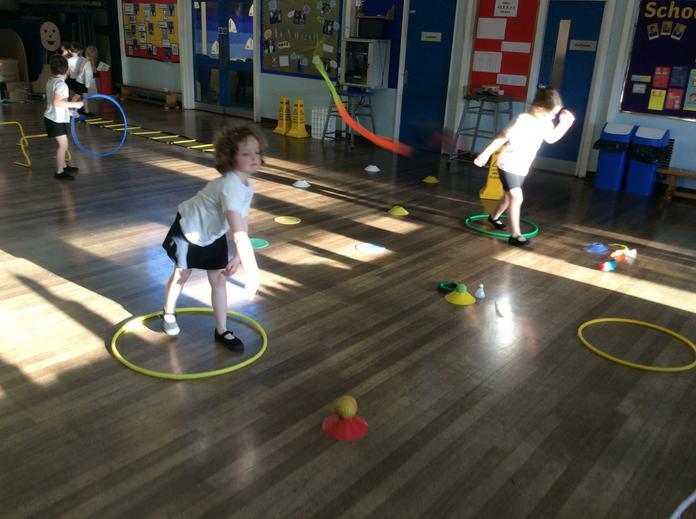 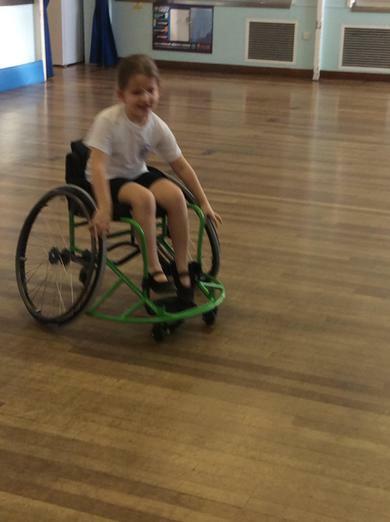 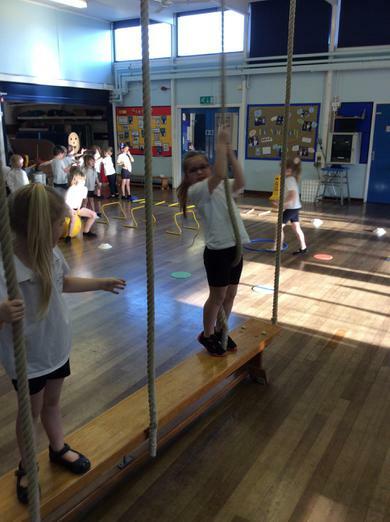 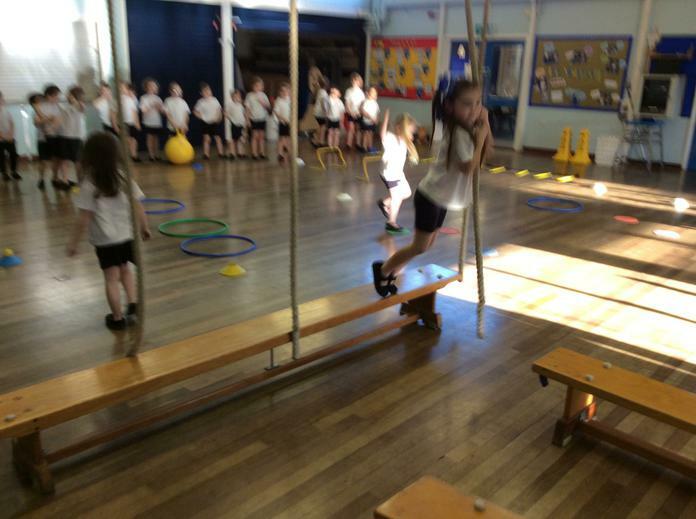 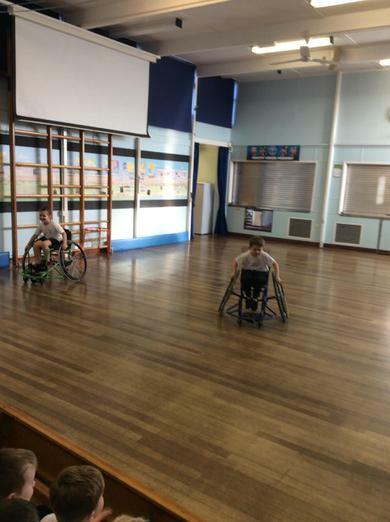 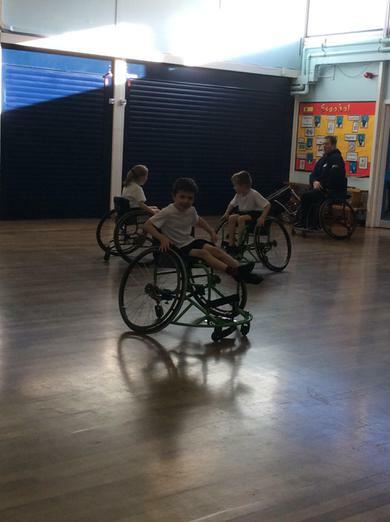 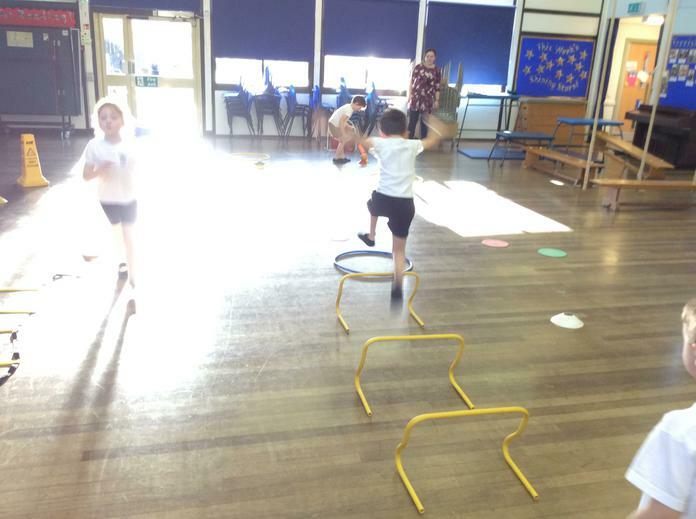 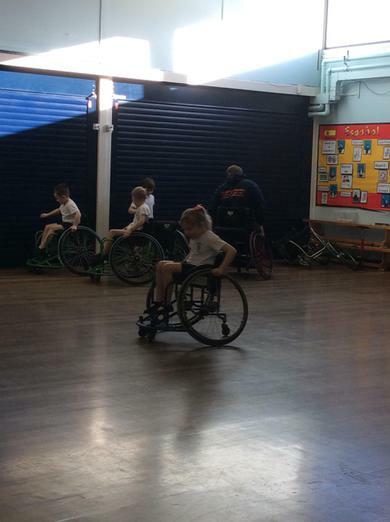 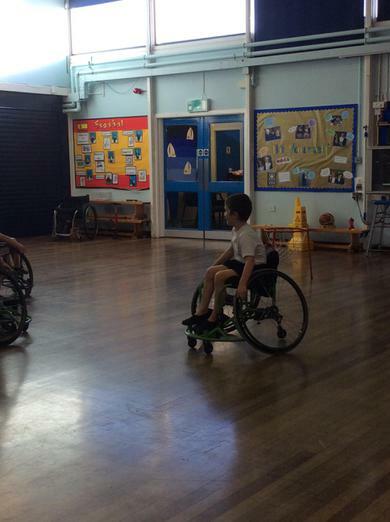 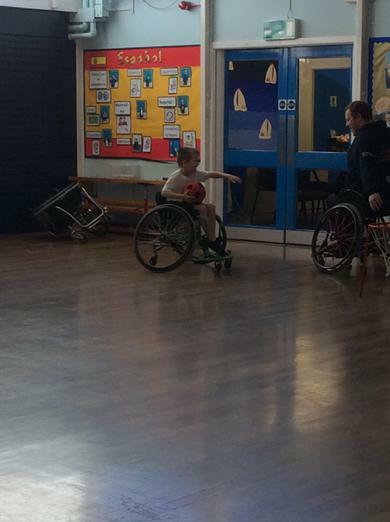 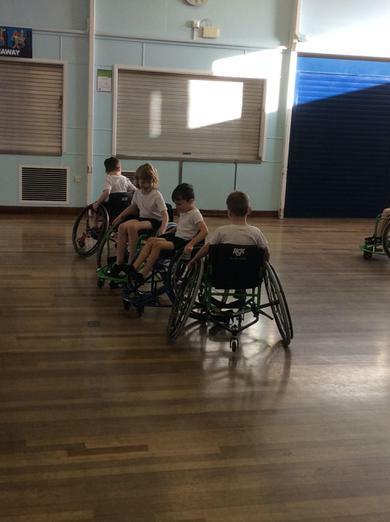 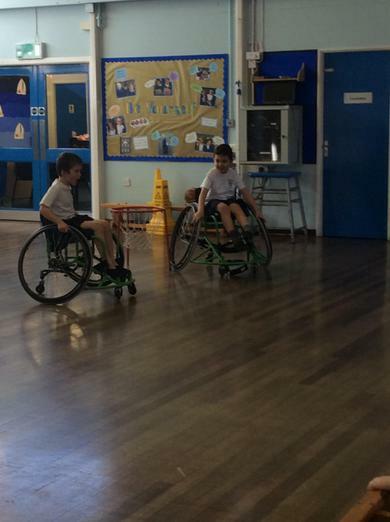 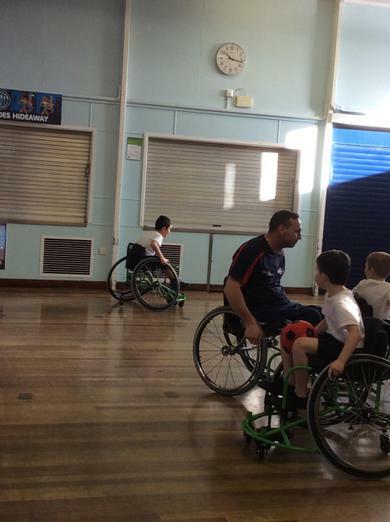 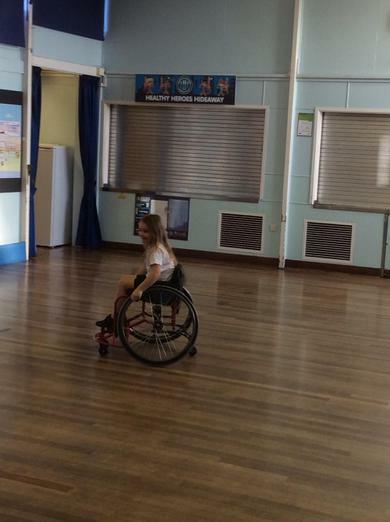 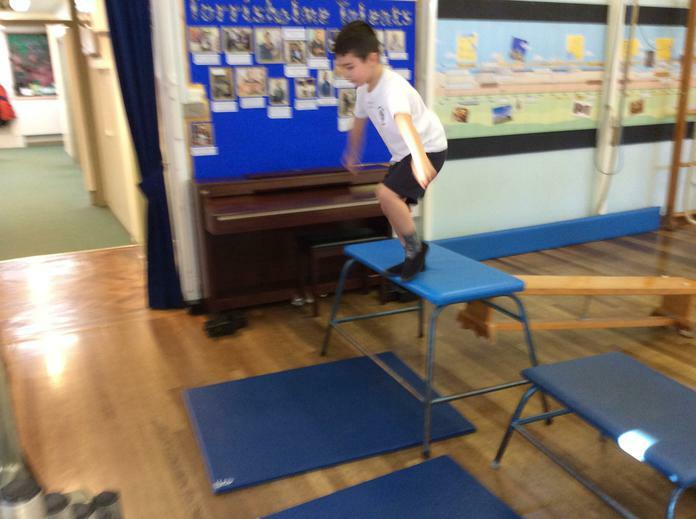 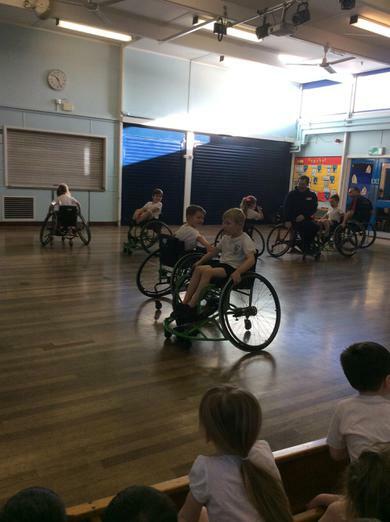 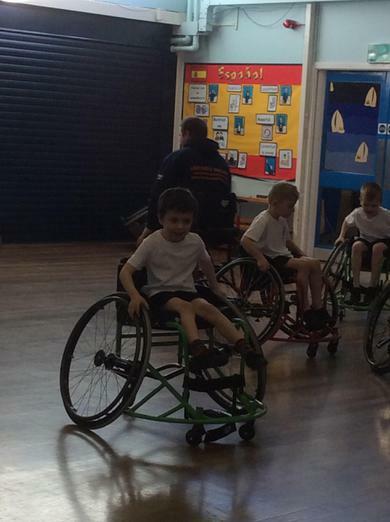 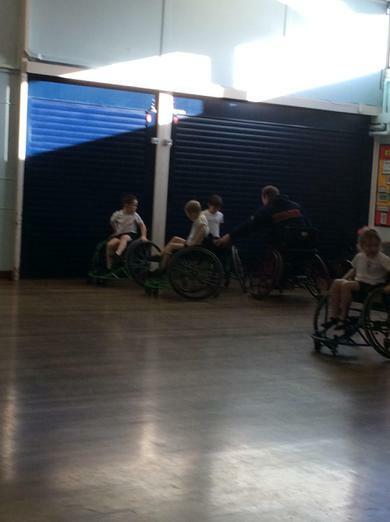 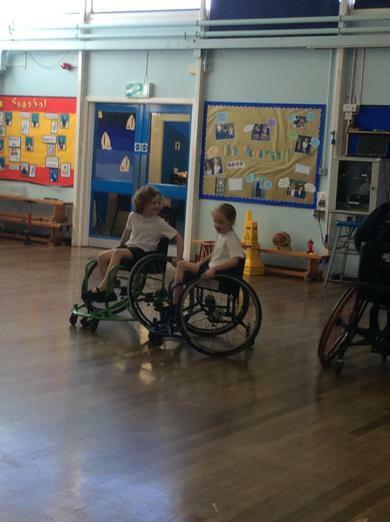 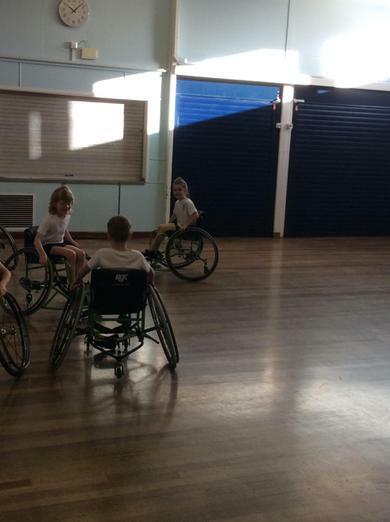 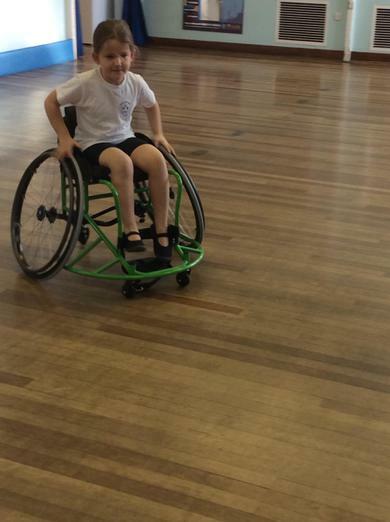 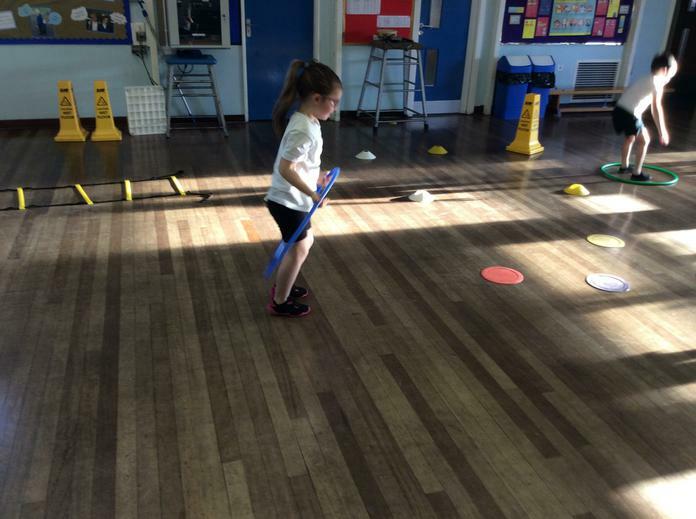 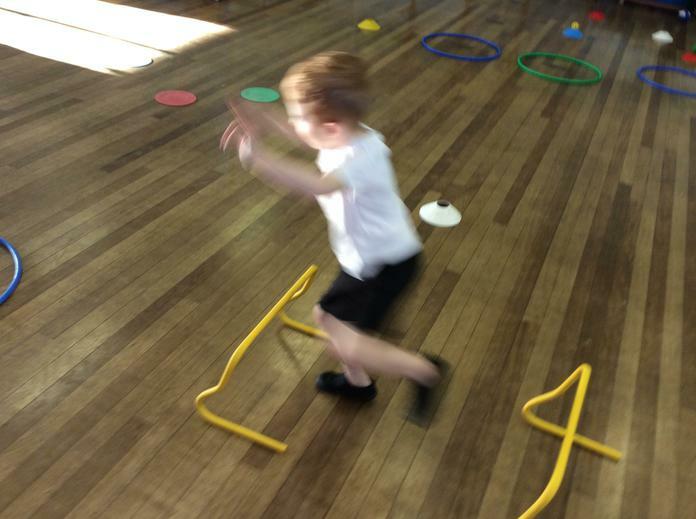 Miss Birkett set up a series of physical challenges to test the children's readiness for a moon mission. 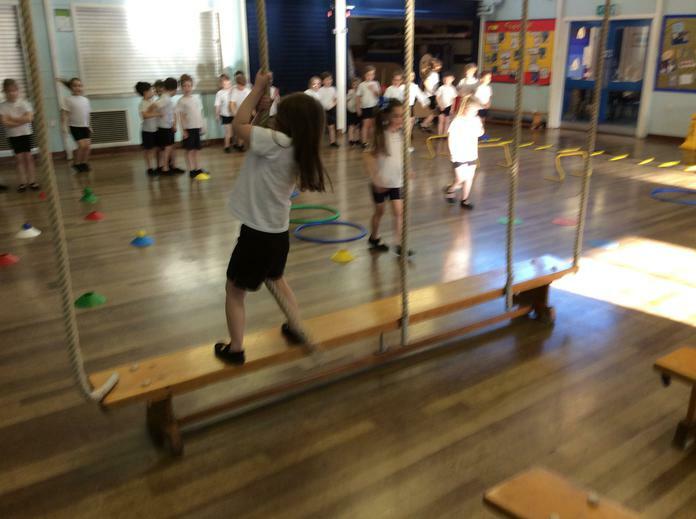 The children practised swinging over moon craters, space hopping, star jumping and stepping in and out of a space suit. 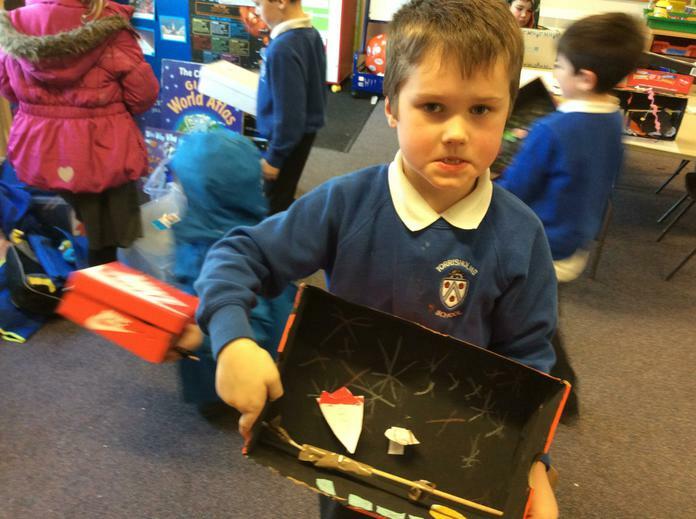 Challenge: Work as part of a team to design and build a space shuttle.